I love hanging out with sales people. Most of the sales people I’ve met are very bright, personable, and very fast on their feet. All of those are characteristics of great sales people. They also represent a critical weakness. They make us sloppy or in the pressure of time, we tend not to prepare, relying on our experience and ability to think on our feet to make sales calls. After all, we’ve made 100’s of calls over our careers and we’re successful. We can just shoot from the lip. I’m in an elevator, thinking about the meeting I’m going to. Thank goodness it’s a skyscraper in Manhattan—gives me a little more time to plan my call. I’m meeting with Ms. Smith at XYZ company, we’ve been talking about a deal, I think I’ll focus on these things. I might stop by and do a “Howdy call” to a few people while I’m there. I’ve got a briefcase full of the latest brochures, so I can talk about anything. I know that Angel Cabrera won the Masters in a 3 way playoff on Sunday and that Tiger’s putting was really off. In the worst case, we can always talk about how bad the economy. Elevator doors open, I’m ready for anything. I can talk my way out of any objection. Over the years, I’ve interviewed thousands of sales people, inevitably, planning for most of the sales calls is pretty much like that. I talk to these same sales people after their call. Dave: How did the call go? Sales person: Great, we really bonded, I told them about our new products, gave them some brochures, talked a little about the deal and what they needed. Dave: Did you accomplish all your objectives? Sales person: I did pretty well, they really understand our product. Sales person: I did pretty well. I wanted to learn if they have gotten the budget for the project, they’re working on it. I’ll call back in a couple of weeks and check again. Dave: Could you have accomplished more in the call? Sales person: (Pausing for a moment) Well we really are bonding, I can always call and arrange another meeting to get more information. Dave: Did you forget to ask them anything? Sales person: Well now that you mention it, I wanted to find out what they thought about the competitors. But I can always call and ask them again. Dave: How many weeks did it take to get this meeting? Sales person: Well Ms. Smith is very busy, it took a couple of weeks to set this meeting. Dave: So it will take you at least a couple more weeks before you can move to the next step? And the story can go on. Many of you may think I’m exaggerating, but think about the last 10 meetings you had—not the one’s that were the final presentation to close the deal, but the meetings you have to get to that point. Do they look something like this? In our research, we have found sales people tend to make almost 2 times the number of calls they need to make to close the deal. Lack of good planning, preparation, and poor execution lengthen the sales cycle. They cause us to make more sales calls because we forgot to get critical information, we didn’t accomplish all our objectives, we could have accomplished more in the call, we were blindsided by something the customer asked. In the example above, the failure to accomplish all they could have accomplished—because of lack of planning has caused the sales person to make at least one more call to accomplish what should have been accomplished. It will probably take at least another couple of weeks to arrange the meeting. It’s easy to see–the number of calls that are required increases dramatically. The time it takes to close a deal stretches out. This puts the deal at risk—the competitor may be moving faster, the project may be cancelled, the longer it stretches out, the greater the risk is of losing. Imagine your own personal productivity. What if you could reduce the number of calls you make by as much as 50%? 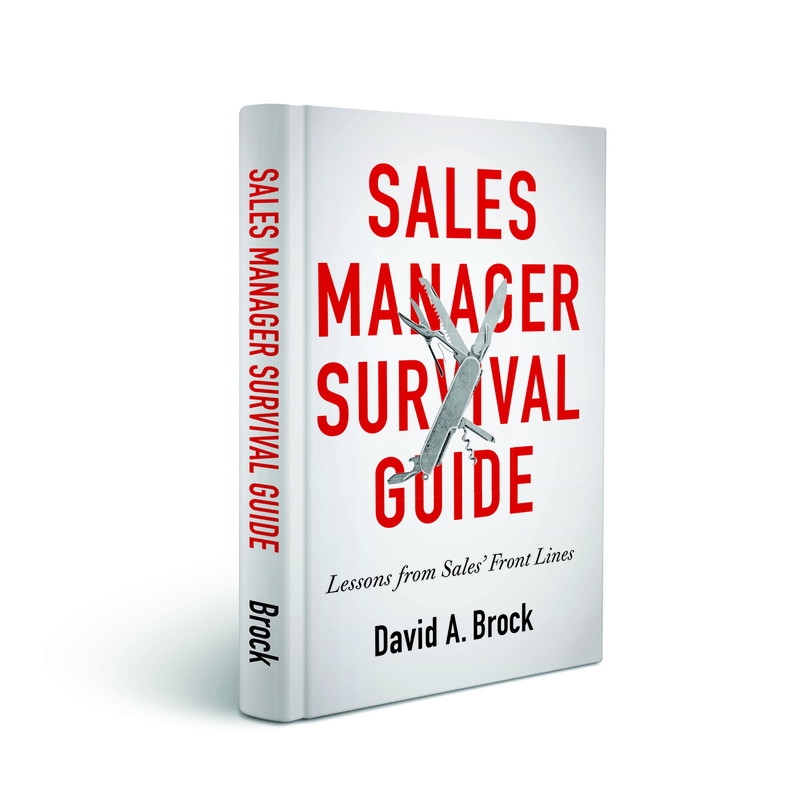 What is you could reduce the sales cycle by months? How could you use that “new found time?” To sell more? Spend more time with your family? Before I wrap up, let’s look at it from the customer point of view. They’ve probably had a pleasant meeting with the sales person. They may think not much was accomplished. They may think, the sales person keeps coming back to me for endless meetings. Customers are busy people. They don’t appreciate having their time wasted. One of the reasons sales people have such a difficult time getting meetings with customers is sales people waste the customers’ time. Improve the results you produce. Improve your win rate. Improve your customers’ perception of you. Spend some time planning your calls. Write the plan down and use it as a guide during the meeting so you don’t forget anything. When you finish the plan, ask yourself “What value am I creating for the customer in this meeting?” If you can’t answer that question, you aren’t prepared for the call. Cancel the meeting until you can answer that question. A good friend of mine Dave Stein (ES Research Group) is a great fan of checklists (as a pilot he understands their importance). I am too. I’ve put together a call planning checklist to help me improve my results with each call. I’d be glad to send you a copy of it, just email me. 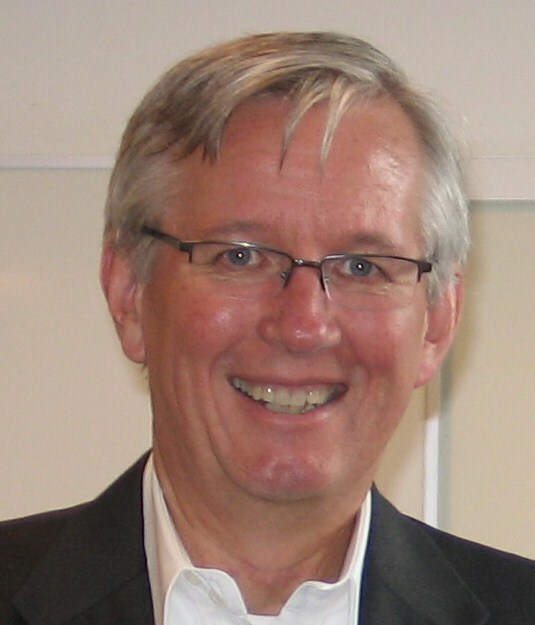 Dave, I love this topic and would appreciate a copy of your checklist (jill@meetingtowin.com). I made an effort to improve in this area 3years ago and it dramatically reduced my number of meetings. 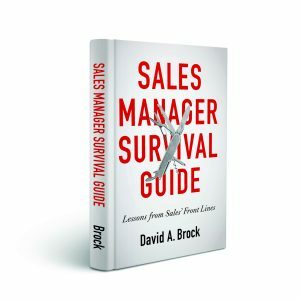 I used a checklist from my favorite sales training and know other programs offer something similar. This checklist had you “precondition” the meeting with the client by sending them the checklist or agenda in advance to agree to the “end in mind” and the path to get there (the agenda basically). It established an agreement up front about what we wanted to accomplish and the topics we needed to cover or questions to answer to get to that “end in mind”. It also got the client to do some pre-work on their end or invite others to the meeting to help us achieve our objective. It took some time and planning each meeting, but it was so worth it. Clients appreciated it, too. They often sent my agenda to their sales leaders suggesting their sales people do the same. This is one of those areas where I have proven to myself that a little planning up front saves hours (sometimes) months in the end. Jill, thanks for your comment. Will send you a bunch of stuff. Agendas are one of the most important tools for effective meetings (sales and otherwise). Getting an agenda to the customer beforehand helps everyone focus and prepare. Using it effectively during the meeting keeps everything on track. It may sound strange, but I use a written agenda for virtually every meeting. Many think it’s too formal, but it helps me reduce the number of calls to close and my customers love it–so I’ll keep using it. There is a really important point you made: "Improve your customers' perception of you." Getting salespeople to follow a basic process, like a brief plan for a sales call, is often hard. When you tell them that the customer will think more highly of them if they are executing a plan rather than "shooting from the lip," that often motivates them to do the right thing. Dave, thanks for the nice note. Another thing I have found helpful is to challenge sales people to write a brief call plan before each of their next 5 important calls. After they have completed those calls, evaluate where they are at versus where they are at when they "shoot from the lip." Virtually, all the time, they find they make far greater progress and they have a greater impact on the customer. Great stuff Dave! I often hang up the phone wondering why I called in the first place, or feeling like I wasted a customer’s time. I would love a copy of your checklist. Jeremy, thanks for the comment. Before you even call the customer it’s critical that: 1. You have a clear set of objectives for what you want to accomplish, 2. These are aligned with what concerns the customer 3. If you cannot articulate the value the customer will get from the call, then go back to 1 until you can articulate clear value that is meaningful to them. Hi David, your blog makes a really interesting read! Can safely say it has made me question and review a number of things I do on a daily basis, and more importantly my colleagues! Would love a copy of the checklist, along with any tips you care to throw in for free! David, thanks for the flattering comment. The post was published in 2009, unfortunately, the checklist is no longer available.